« What’s Going On With AMD’s RX Series Video Cards? The first feature I’d like to share with you is all of the RGB lighting that this keyboard has. You can literally have any sort of custom lighting to it. The software used to customize each key is very easy to use! Want to make the lighting look like it’s on fire? There is a pre-set custom lighting scheme just for that which keeps most of the keys a dark blue color while pulsating through red/yellow to make it look like fire. Or maybe you want a data fall effect like you see in The Matrix? There is a pre-set effect for that as well. You can also customize your own special effects using the software. You can set color regions and make it play through a timeline where the keyboard will know when to switch to whatever colors you set it to. You can do this for each individual key. I know that RGB lighting isn’t the most important feature on a keyboard – it really comes down to overall performance, durability, size and etc. But the fact that you’re able to customize each key fully to one of the 16 million colors on the palette makes it worth mentioning for sure! I have spent a lot of time matching the keys to whatever wallpaper I decide to use as well as matching my RGB Razer mouse to go with it. It’s a lot of fun matching it up or just going wild with it cycling through all of the colors! As far as actually using it – it’s actually one of the best keyboards that I’ve used and I’ve been through plenty of generic and higher quality mechanical keyboards as well. The G910 is easily the best keyboard I’ve had so far based on the overall usage. In the past I’ve used loud keyboards from a friend’s Corsair to a generic branded mechanical keyboard where the keys were designed to click in faster which results in the keys having a loud “click” to them. It’s not a huge issue if you like the clicking sound but I’ve heard more than once from friends in my Discord that they could clearly hear me typing/clicking in-game to a point where I could tell it’d bother some. With the G910, this is much less of an issue. 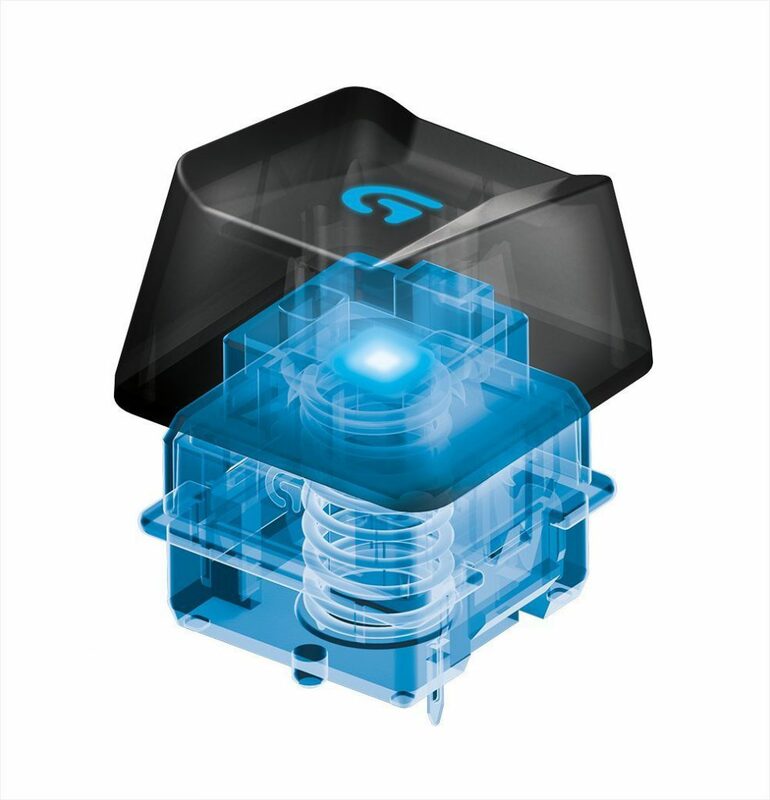 It’s not that the keys aren’t designed to be clicked faster than a normal keyboard because they are – they use exclusive Romer-G mechanical switches that are designed a similar way to the switches that are used on the louder keyboards. Having mechanical switches lets the keyboard inputs be known faster and more precise when pressed. Normal keyboards just have a little rubber piece to where when the rubber piece hits the sensor under the key then the PC knows that is what is being pressed. Mechanical switches have a certain resistance to them and each type of switch is different. Having the resistance feels good because you can be certain that you’re actually pushing the right key when you’re deciding to – especially when in-game. The best way I can explain how it sounds is that it feels and types more so like a membrane keyboard but it does indeed have the switches underneath. So you’re still feeling the resistance of having the keys being mechanical yet it isn’t as loud as a traditional mechanical keyboard. Another good point for the keyboard is the macro keys and being able to set different profiles depending on which game you’re playing or if you’d want different profiles for launching certain programs. It took me a bit to get used to having the extra keys next to my crouch key (I use ctrl for crouching) but after getting used to it I see the value in the macros. 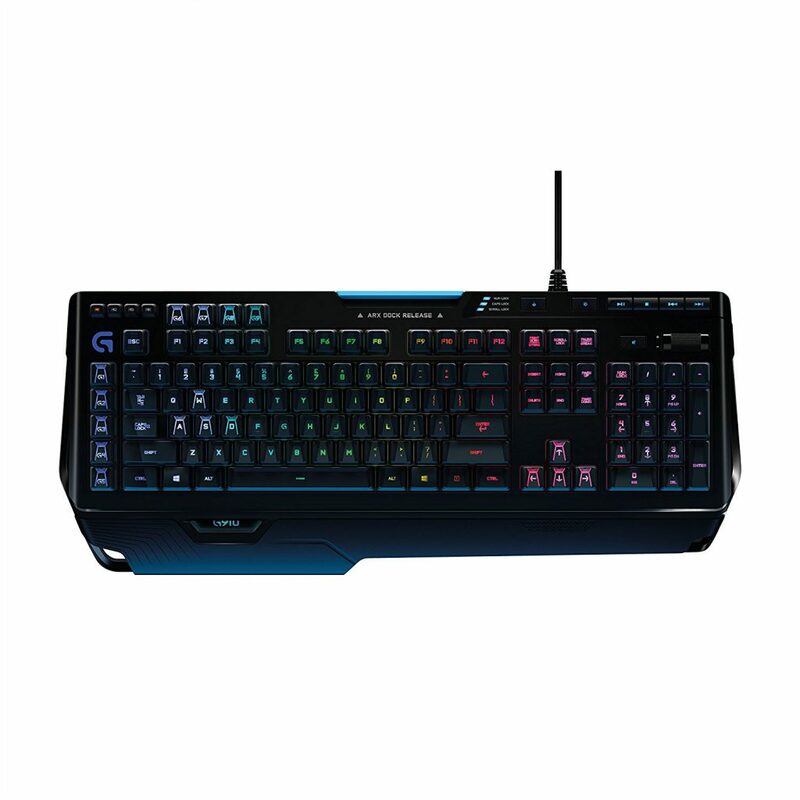 You can download the software for the G910 on Logitech’s website which is a simple process. Simply downloading the exe file and install then the software will be able recognize the keyboard right away. From the Home Section you’ll be able to set up different profiles based on which game gets launched or you can set up a profile for average usage such as hitting a key to launch up Discord or whatever other program you’d want to have as a hotkey. These macros can also be recorded to where it’ll do different inputs to whatever you’d want it to do. This allows you to be able to hit one key to hit a series of key presses or an automated push every so often. Basically being able to give different commands for the different macro keys. The Game Mode Settings section lets you dictate which keys are disabled when you have game mode turned on. There is a key right above the Print Screen key that will toggle game mode on and off – perfect for making sure you don’t accidentally hit the Windows key in-game. The Lighting Settings section lets you mess around with all of the different lighting methods which I explained earlier. This section lets you set each key to a static color, to pulse between different colors or any other lighting setting that you could imagine. Having 16 million colors to choose from really gives you the freedom of choice on how you want your lighting to be displayed. Then there is an Input Analysis section which will give you a heat map that shows you which keys are being pressed, how often they’re being pressed and the area of the keyboard that is being used the most. This is a pretty interesting feature because you’re able to see where your actually pressing the most in-game and in some cases you’re able to see where you’re at – being able to analyze how you’re actually hitting each key while in-game. You can also use an overlay called Overwolf which gives you a bunch of different apps for games. This overlay can be used for instant replays, optimal builds for games such as League of Legends and other useful apps depending on the game. I have no actually used this feature but I plan to use it down the road – it seems pretty neat! There is also another feature called Logitech Arx Control which lets you plug your phone in to have it act as another screen for game information depending on the game’s compatibility with the phone app. 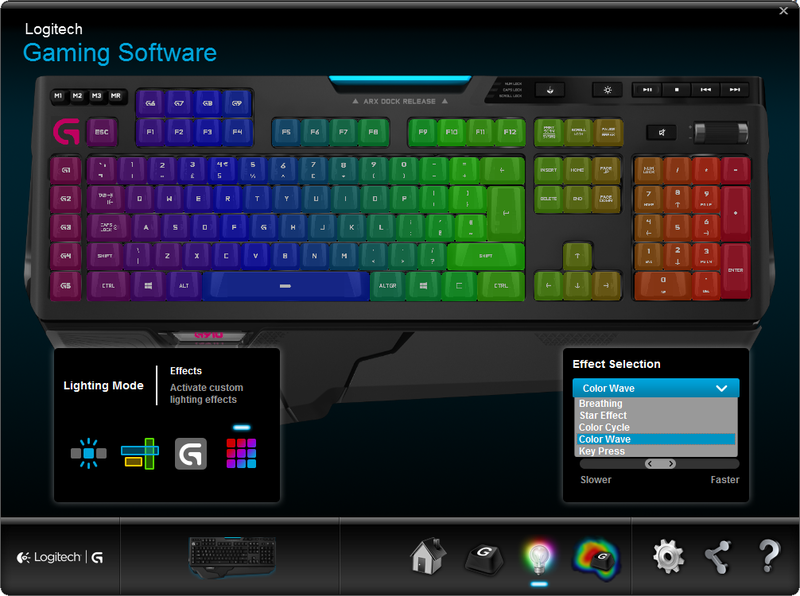 It’ll track GPU/CPU usage and allow you to customize some Logitech gear as well. 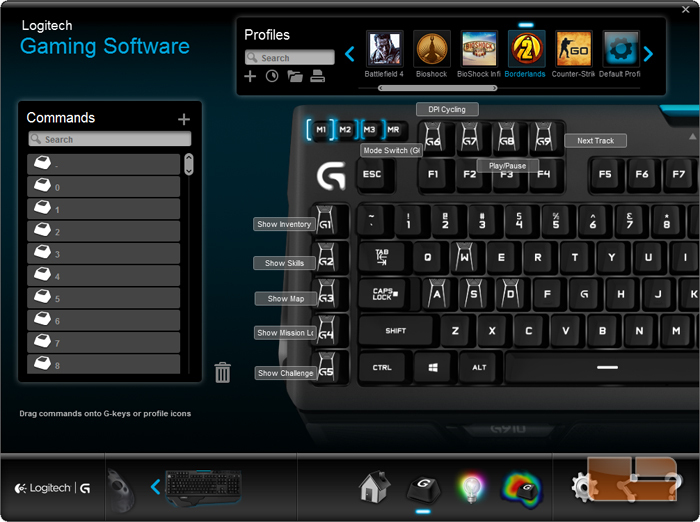 Is The Logitech G910 For You? If you’re looking for a keyboard that packs all of the bells and whistles that you’d need in a keyboard then this should definitely be something to consider getting. If you’re wanting macro profiles, insane RGB lighting customization and extra features such as Arx Control and compatible overlays while in-game – this is exactly that! Don’t just take my word and experience for it, there are plenty of Amazon reviews that you can also check out to see others that are enjoying using it. Although it’s a pretty penny to put into it, it’s entirely worth it if you’re looking for a super high quality keyboard that gives you a crazy amount of features. So, what do you like best about the Logitech G910? Do you think that you’ll be picking one up? Tagged g910, logitech, mechanical keyboard, rgb keyboard. Bookmark the permalink.